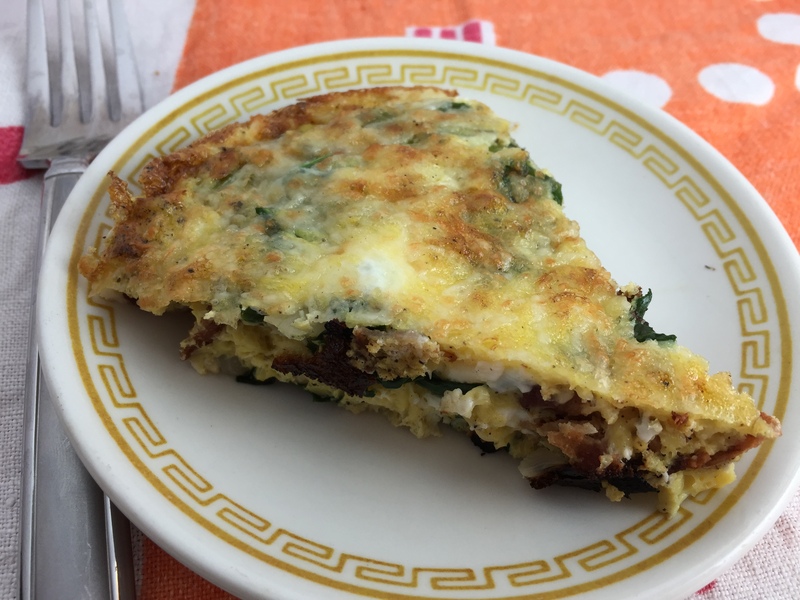 The food: Frittata sounds fancy, but it’s really just Italian for baked omelette. This hearty breakfast dish is quick, easy, and tasty. You can load it up with any ingredients your family likes and have a substantial meal on the table in about 10 minutes. There’s really just no excuse for sending your kids (or yourself, for that matter) out the door with a lousy cereal bar. 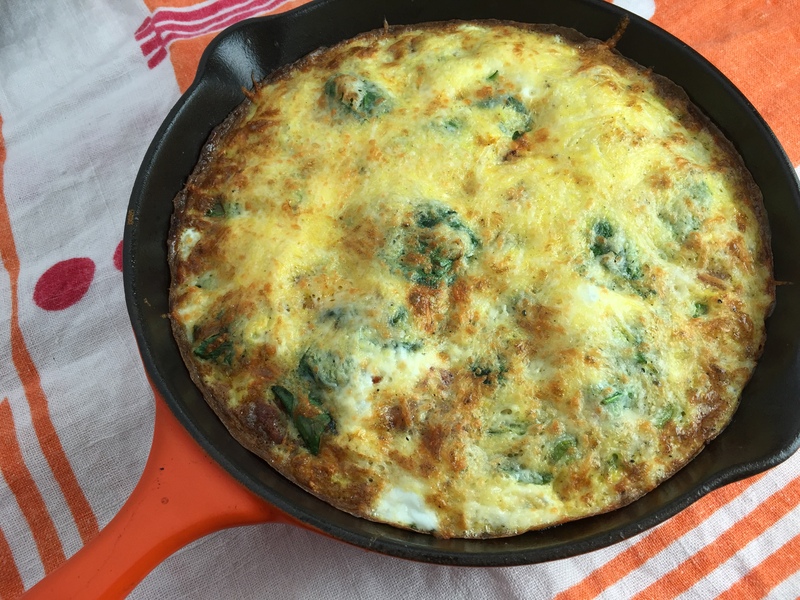 This take on the crustless quiche uses asparagus, spinach, onion, garlic, and bacon all topped with nutty asiago cheese. The music: Mornings call for music that puts a little pep in your step, but nothing too obnoxiously upbeat before you’ve had your first cup of coffee. Jazz is almost always a great solution, and “Sassy” Sarah Vaughan is one of the finest voices of the genre. 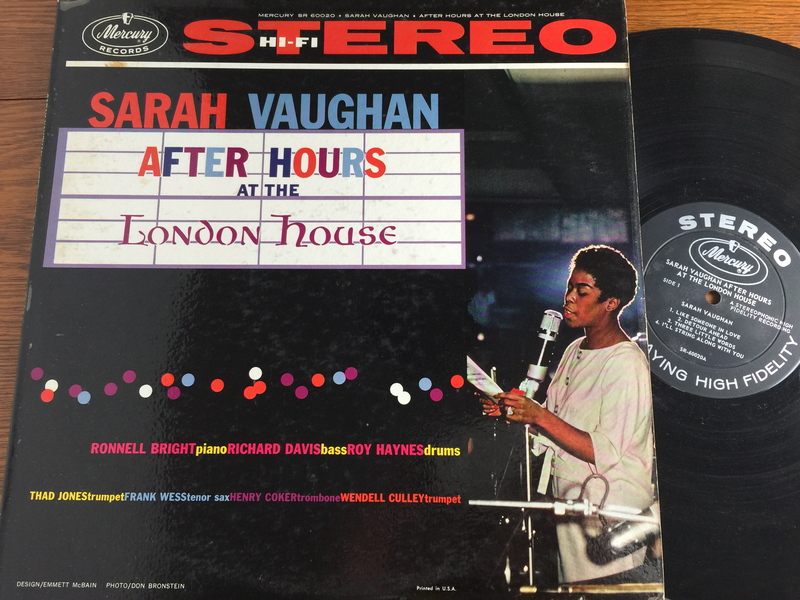 Her 1959 “After Hours at the London House” is a live album recorded in Chicago and it’s a fun introduction to both her voice and her personality. She makes mistakes and laughs them off, all the while showing her amazing range. Listen to Side 1 while you make your breakfast, and enjoy Side 2 while you eat. This frittata-Vaughan combo is an elegant way to start your day. Love jazz divas? Try out Ella Fitzgerald with this recipe for Classic Cheesecake, too. In a small bowl, beat eggs, cream, salt, and pepper with a whisk. Set aside. In a medium skillet, cook the bacon to desired crispiness. Drain grease. Set bacon aside. Add butter to the skillet. Cook asparagus, onion, and garlic over low heat until softened. Add spinach for 1 minute, or until wilted. Cut bacon into pieces and spread over the vegetables. Top with egg mixture. Cook until it begins to set up, but not fully done. Top with cheese. Place under broiler for about 2 minutes, until the cheese is bubbly and beginning to brown. Could you use skim milk for a skinnier version?